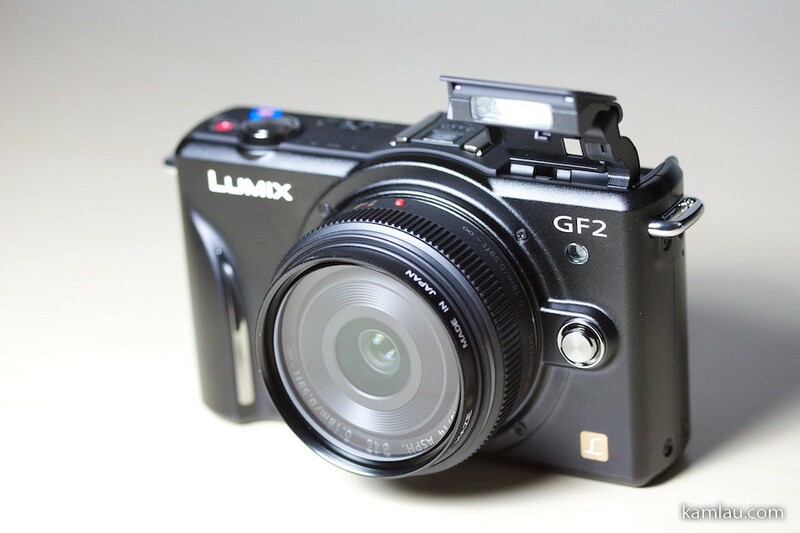 Lumix GF2 comes in two kits, one with the 14mm f2.5 pancake lens, and another with the 14-42mm f3.5-5.6 zoom lens. For a compact premium camera, I choose to start with the pancake lens even though it means I would not have the convenience of a zoom lens. The first piece of accessory I got for this camera is a lens filter. It is essential to cover the lens to protect it from scratches on the glass surface. I was also eyeing the leather case but that adds a lot more bulk to the camera and it is not cheap either. So that will have to wait. 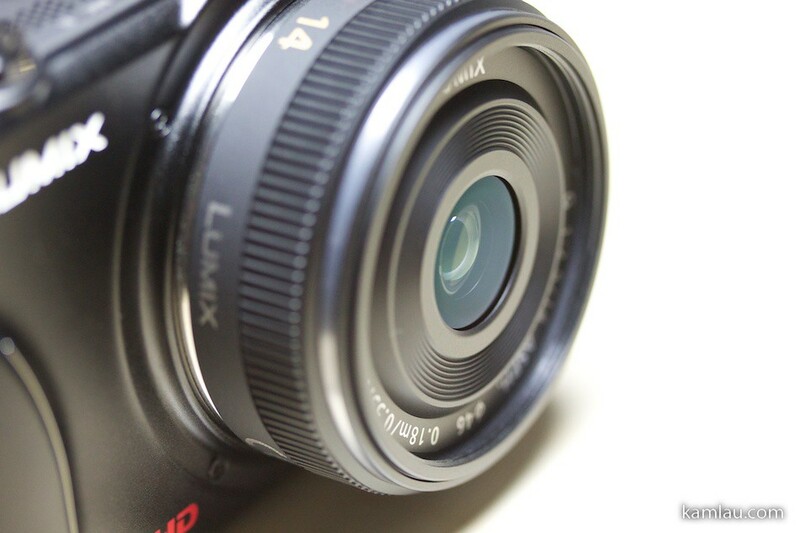 The 14mm pancake lens yields a 28mm equivalent focal length as the Mirco 4/3 system has a crop factor of 2. It is a good starting range. The lens threading diameter is 46mm, the price of lens filters should be quite reasonable at this size. The finishing of this camera is great. It feels heavier than it looks. And it feels very solid. Though it can be a bit slippery as there aren’t any rubber grips on the body. 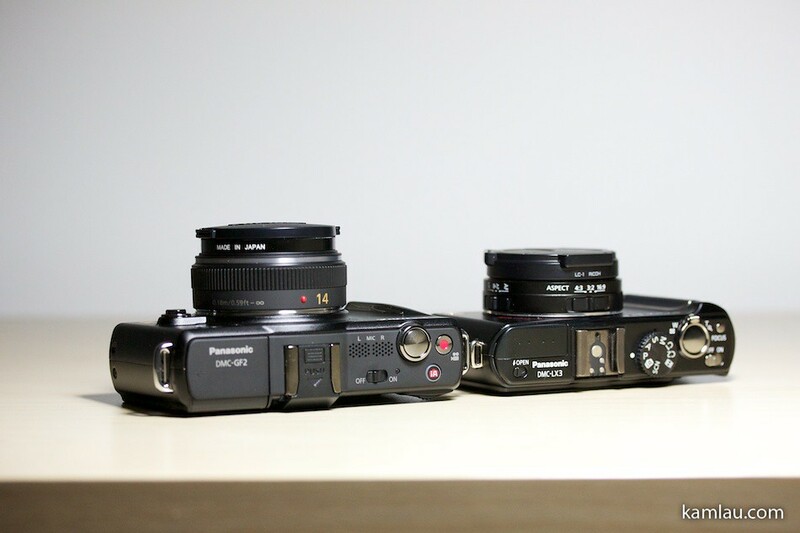 Like the previous generation, the GF2 has a metal body. The body comes in a few different colors (black, white, red and silver). Personally I prefer silver but they do not sell that color in Canada. 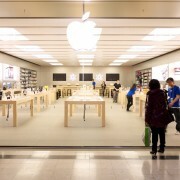 If there is something I could suggest or wish for, it would be a metal unibody construction. 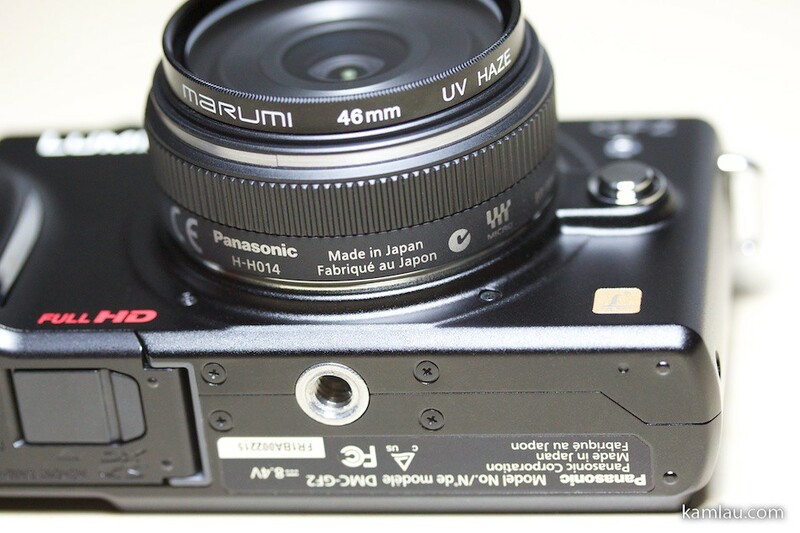 As you can see the body of this camera is made up of front and back pieces of metal, just like most compact cameras. Over time, the body could loosen up from wear and tear and the gap between the front and back could expand. Apart from being a digital compact camera with interchangeable lens, it is also capable of capturing videos in Full HD (1080i at 60 fps). 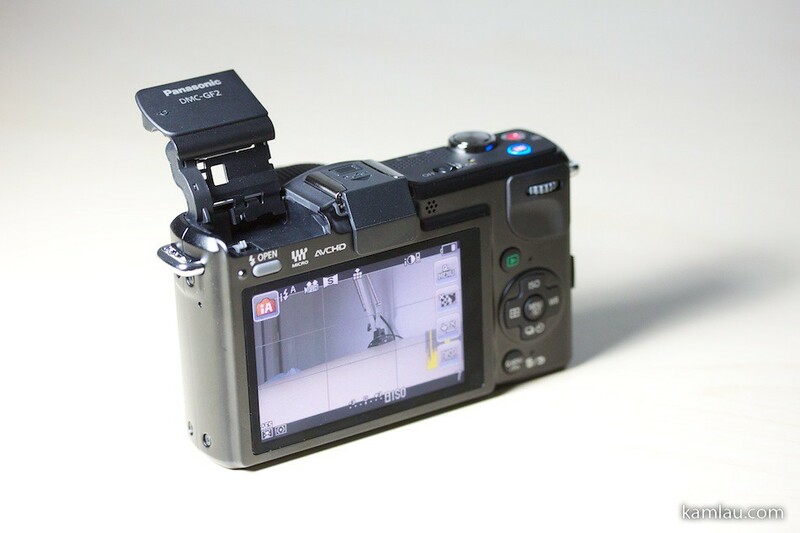 Most cameras, including DSLRs, have video function. But the Canon T1i doesn’t do a fine job with focusing when taking videos. 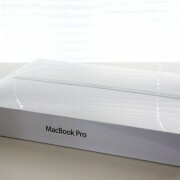 I will definitely will have to test it out with the GF2 and see how capable it is. 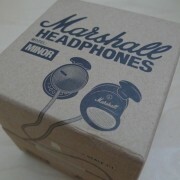 It also comes with a stereo microphone and I would like to find out how effective it is as well. 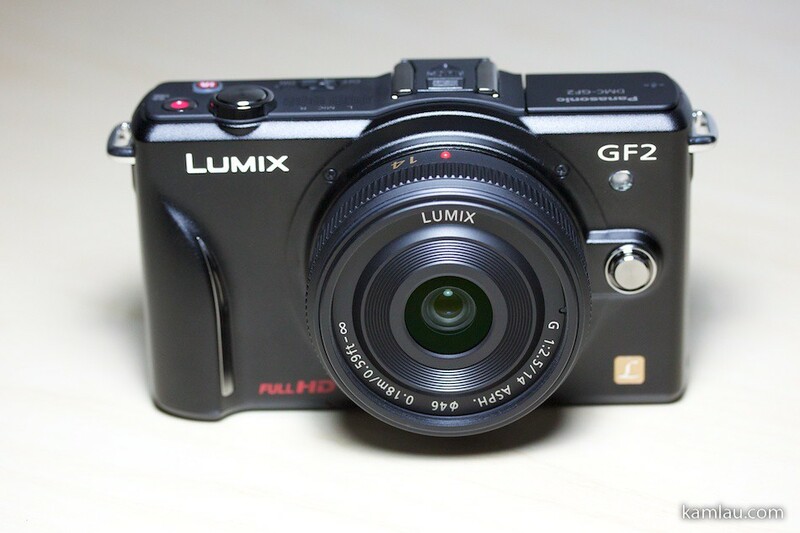 Like the GF1, the GF2 has a retractable flashlight. It is a fancy mechanism but I would not think it will match the performance of any real flashlight. 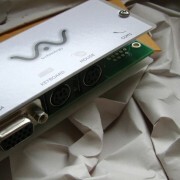 One nice feature of the GF2 is that it comes with a touch screen interface. 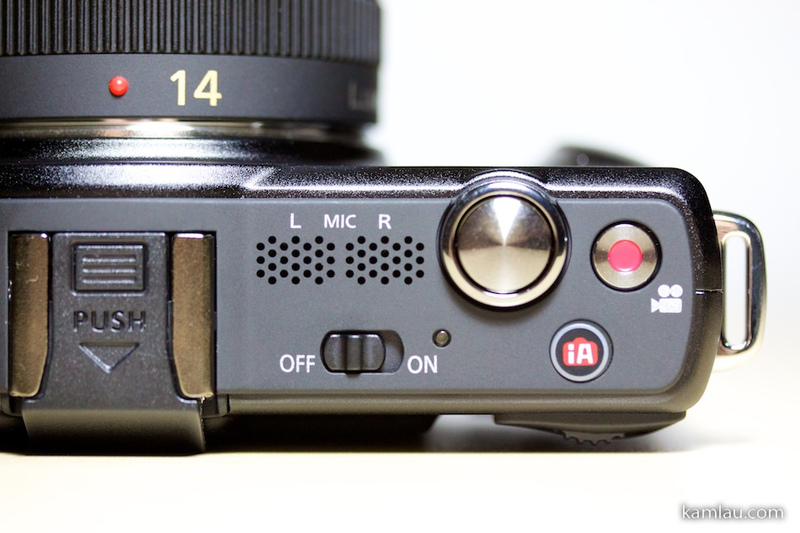 That reduces the number of buttons on the back of the camera and the mode dial that usually comes with DSLR cameras. I played with the touch screen menu system a bit and found it quite intuitive to use. The animation of moving from menu to menu tends to be a bit slow. I wish they provided an option to turn off the animation. 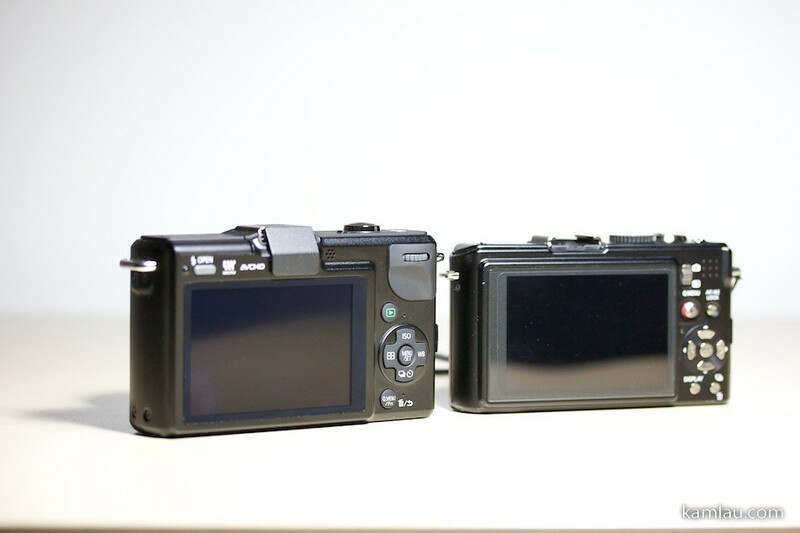 Here are some photos to compare the Lumix GF2 to the Lumix LX3. 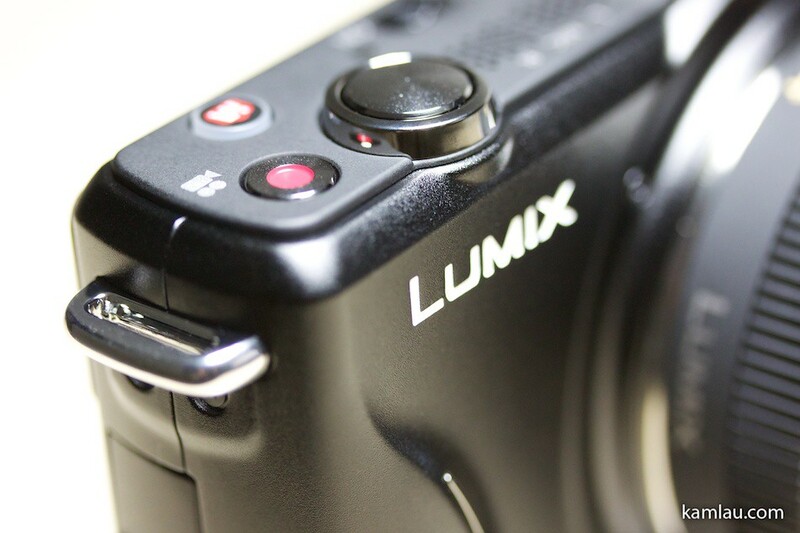 The LX3 is a compact point-and-shoot camera that has a lot of manual functions as well. It is still one of the cameras we enjoy using a lot. 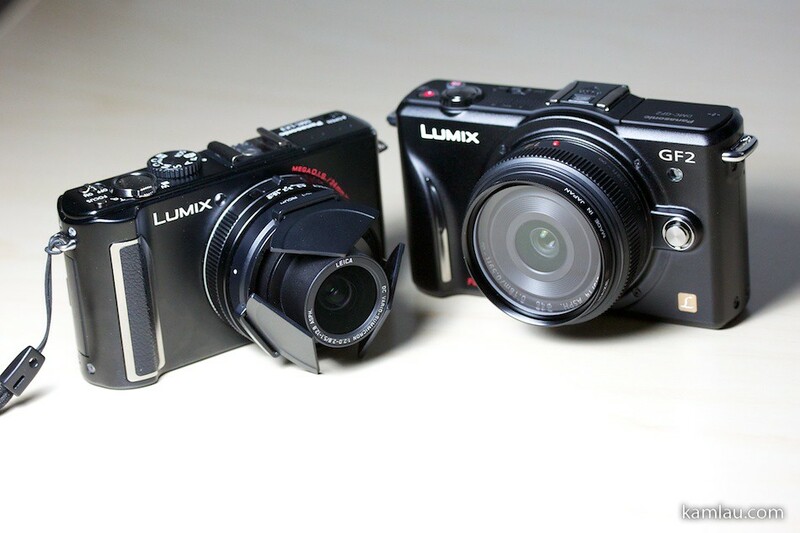 The GF2 is slightly bigger than the LX3. It is bigger in every dimension, but not by a whole lot. 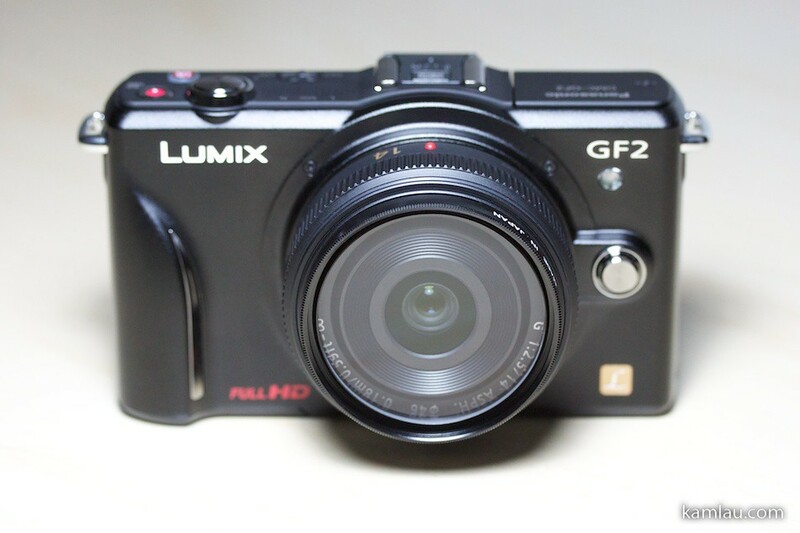 Of course, if you use a bigger lens, the GF2 can take up more room. However, the body itself is quite compact. 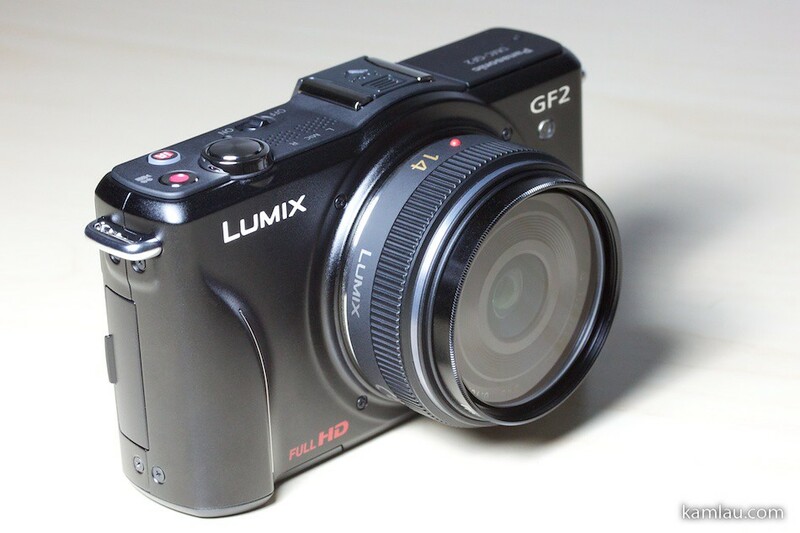 The Lumix GF2 has a pretty aggressive retail price (US$699.95 for the 14mm f2.5 kit). 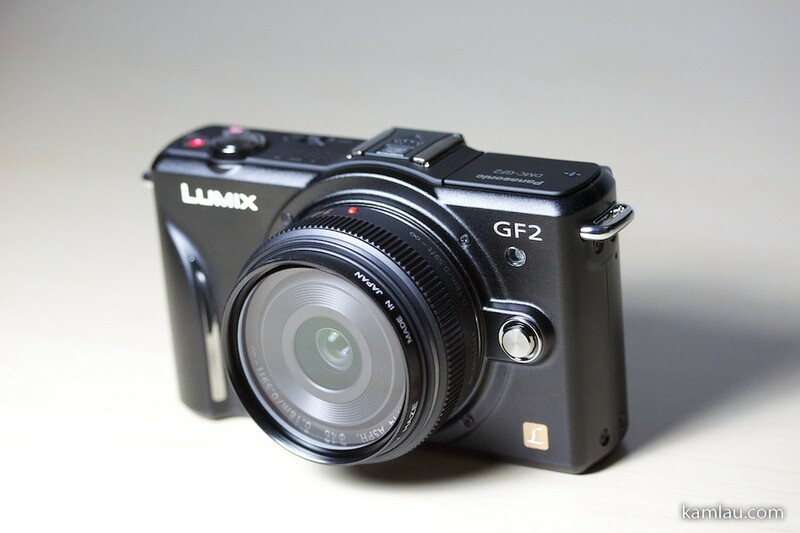 If you are in the market for a compact premium camera, make sure you evaluate the Lumix GF2. 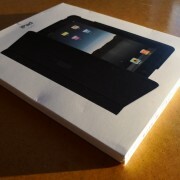 Saw your flickr pics and knew a review was coming =) It looks thinner than the GF1. I wasn’t so sure about the touch screen…but I guess it’s working out. 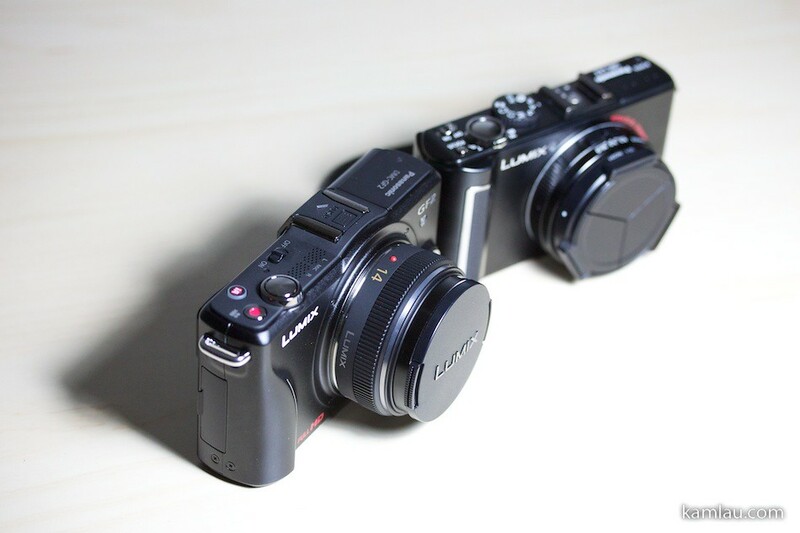 The combination in size of the camera and the quality of the images is unbeatable. 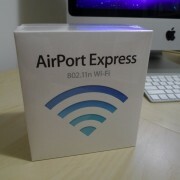 Enjoy the new toy! Can’t wait to see pictures!